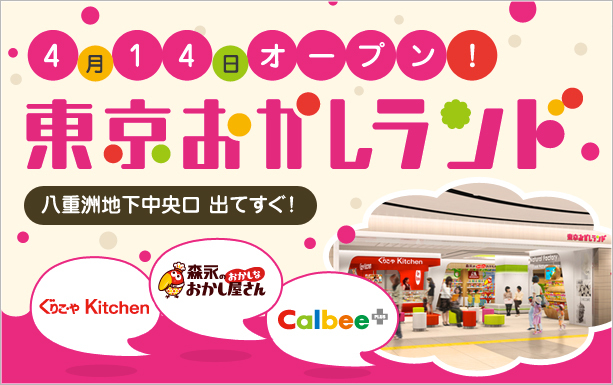 Opening tomorrow in the basement of Tokyo Station is Tokyo Candyland (Tokyo Okashi Rando). The three main tenants are Calbee, Morinaga, and Glico, big snack manufacturers in Japan. At Calbee you can have potato chips hot out of the deep-fryer. The area is located in the basement outside of the Yaesu central exit. While it’s not worth going out of your way to come to, it may be interesting if you are at Tokyo station as the tenants will say limited edition items, usually seasonal products.